Athough the protagonist of “DriverX” inhabits a less seedy urban space than Travis Bickle, he has his own dark night(s) of the soul. 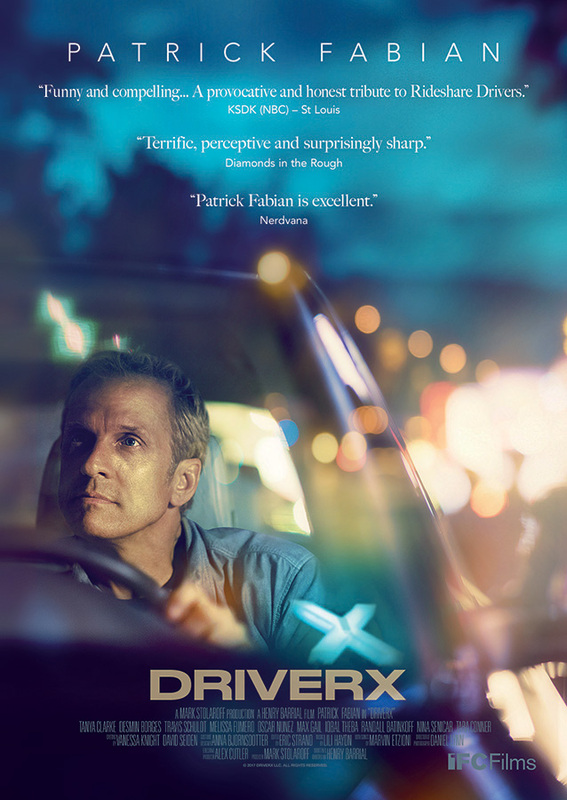 With property taxes due, the former record store owner Leonard Moore (Patrick Fabian, “Better Call Saul”) turns to making peanuts as a driver for DriverX — a fictional rideshare service that the writer and director, Henry Barrial, drew from his experiences cabbing for Uber. His knowledge has clearly informed the film, which teems with details that feel lived-through. As Leonard crisscrosses Los Angeles, passengers reveal intimate information, talk as if he weren’t there, befriend him and abuse his hospitality. The trick to getting good reviews, apparently, is to leave bottles of water and breath fresheners for drunken fares. While a conventional movie might push Leonard toward danger, “DriverX” confidently inhabits a more ambiguous space. The 1970s-style title card signals an affinity with the character studies of the New Hollywood. And “DriverX” is a portrait not only of the 21st-century “sharing economy” but also of Leonard’s marriage. Tanya Clarke plays his wife, initially the only one he tells about the driving gig. Their relationship is tested by the new schedule. Though Barrial lacks the panache of a Martin Scorsese or a Michael Mann (whose “Collateral” may inform the proceedings as much as “Taxi Driver”), he conjures a subtly chilling mood from the nocturnal light bouncing off the Prius glass. This is not a perfect film, and features maybe one wild night too many. But its outlook — optimistic about human nature yet cynical about the times — lingers.